Whether they’re having an impact on our moods or contributing to our heart health, research is increasingly uncovering how the millions of microbes in our gut can affect different areas of our body. Now, new research suggests that the makeup of bacteria and other microbes in the gut may have a direct association with dementia risk. Japanese researchers studied the ‘bugs’ (or gut microbiota) present in faecal samples of 128 dementia and non-dementia patients and discovered that those with the memory disorder had differences in the components of their gut bacteria. It was found that those with dementia had higher concentrations of compounds such as ammonia, indole, skatole and phenol in their faecal samples, but lower levels of beneficial gut bacteria. While larger studies are needed, this has exciting implications for how scientists may approach the prevention of dementia in future. In the meantime, we’ll be doing what we can to boost our beneficial bugs, through eating and drinking probiotic-rich products such as kefir, kombucha, live yoghurt, and sauerkraut. 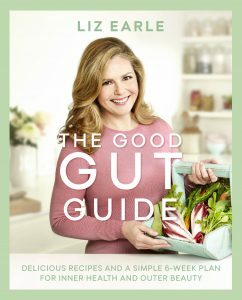 To find out more about how we can help maintain our gut health, pick up a copy of Liz’s bestselling book, The Good Gut Guide.